Music hall in a new cultural centre in the west part of Krakow [Poland]. The aim of the Masterthesis was first to develop a new Masterplan for the bordering field of the Blonia park in Krakow and then a Music hall with a 1.300 seats capacity. 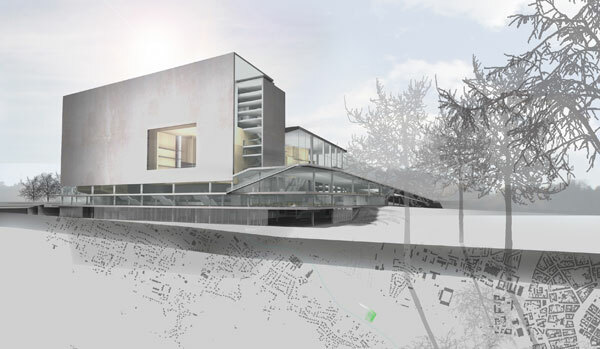 The main idea of the building consists in changing the traditional space allocation plan of a music theatre. The reason why is to catch the beautiful view of the Krakow’s city skyline during a spectacle. Secondly to deal with the difficult traffic situation and to be able to use the building the other way around from the Blonia park.